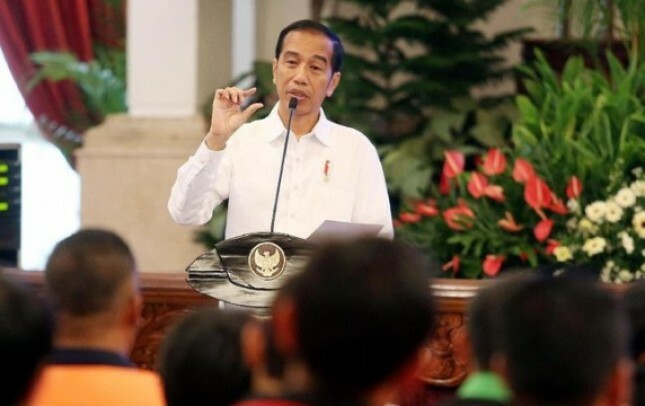 INDUSTRY.co.id - Jakarta - President Joko Widodo summoned the Economic Team at the Merdeka Palace on Monday (25/6/2018) to discuss global, regional, and domestic economic conditions. The Economic Team consists of Coordinating Minister for Economic Affairs Darmin Nasution, Finance Minister Sri Mulyani, Bank Indonesia Governor Perry Warjiyo, and Chairman of the Board of Commissioners of Financial Services Authority Wimboh Santoso. This Economic Team entered the Palace at 10:00 am, after President Jokowi received a delegation of Japanese Foreign Minister Taro Kano, and out at around 12:00 pm. After meeting the President, Finance Minister Sri Mulyani explained that it will continue to see from the real sector and policy can focus on helping balance of payments. "We will continue to see how the policy continues to be focused on helping our balance of payments, especially from current transactions," Sri Mulyani said. The Finance Minister also disclosed that talks with the President also discussed if the economy wants to move forward, but the current transactions can be maintained from the side of the deficit, policies on support for exports, including tourism, and strengthening the development of industries that substitute imports. "We also discuss what the joint response from the real sector like the Coordinating Minister of Economy, from us (the Ministry of Finance) in terms of whether intensive, whether the convenience, whether it is from taxation, from customs, customs and also from prudential macro Bank Indonesia and macro prudential policy in OJK, "he said. Sri Mulyani said that it will continue to be encouraged (follow up) to be able to concretely improve the condition of the domestic economy. The minister also said that the meeting of the President and the Economic Team also discussed the overall, both in terms of global economic conditions, regional, and domestic conditions. "Any factor, on the one hand, maintains essential stability, on the one hand again how we keep pushing for growth and economic activity to go even further," he said.